By becoming a subscriber (a “Subscriber”) of STOCKMARKETCADDIE.com,LLC you are confirming that you have read and agree to the following terms and conditions (the “Terms and Conditions”) which govern your use of this website and your relationship with STOCKMARKETCADDIE.COM, LLC. If you do not agree to these Terms and Conditions, do not use this service. We may change the Terms and Conditions from time to time and at any time without notice to you, by posting such changes on this website. By using the service following any modifications to these Terms and Conditions, you agree to be bound by any such modifications to the Terms and Conditions. STOCKMARKETCADDIE.COM, LLC is not a registered investment advisor or a broker dealer and does not give individualized market advice. The information provided by STOCKMARKETCADDIE.COM, LLC is private and intended only for subscribers of the service. 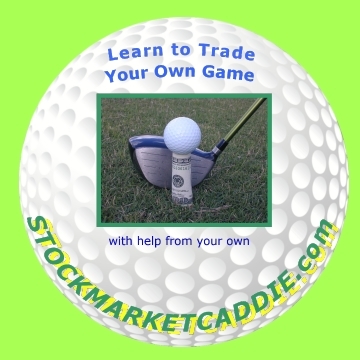 The information, materials, and CADDIESCHOOL content provided by STOCKMARKETCADDIE.COM,LLC is for informational and educational purposes only and should not be considered as a solicitation of an offer on the purchase or sale of any securities. Trading in the securities markets involves substantial risk and should not be undertaken without due diligence and serious independent study. STOCKMARKETCADDIE.COM, LLC recommends consulting a licensed professional broker regarding your personal investments. STOCKMARKETCADDIE.COM, LLC personnel may own positions in the securities mentioned in our materials and CADDIESCHOOL. STOCKMARKETCADDIE.COM, LLC is not compensated in any way for publishing information about companies mentioned in our reports. STOCKMARKETCADDIE.COM, LLC may, however, receive compensation from companies to distribute corporate communications and branding messages. All materials provided and information communicated is based on information that STOCKMARKETCADDIE.COM, LLC considers reliable, however, STOCKMARKETCADDIE.COM, LLC does not represent that it is accurate or complete, and it should not be relied upon as such. All trades involve risk and may not be appropriate for all investors. Without limitation, STOCKMARKETCADDIE.COM, LLC shall not be responsible or liable for any loss or damages related to, either directly or indirectly, (1) any decline in market value or loss of any investment; (2) a subscribers inability to use or any delay in accessing the STOCKMARKETCADDIE.COM, LLC website or any other source of material provided by STOCKMARKETCADDIE.COM, LLC; (3) any absence of material on the STOCKMARKETCADDIE.COM, LLC website; (4) STOCKMARKETCADDIE.COM, LLC failure to deliver or delay in delivering any material or (5) any kind of error in transmission of material. STOCKMARKETCADDIE.COM, LLC and Subscriber acknowledge that, without limitation, the above-enumerated conditions cannot be the probable result of any breach of agreement between STOCKMARKETCADDIE.COM, LLC and Subscriber. All content and material provided by STOCKMARKETCADDIE.COM or published on www.STOCKMARKETCADDIE.com, LLC is the property of STOCKMARKETCADDIE.COM, LLC and may not be copied or distributed without written consent from STOCKMARKETCADDIE.COM, LLC. Reproduction in part or in whole is not permitted. STOCKMARKETCADDIE.COM, LLC does not grant to you a license to any content, features or materials you may access on this website. You may not download or save a copy of any of the content or screens except as otherwise noted. You may print a copy of the information on this website solely for your personal use or records. If you make other use of this website, except as provided in these Terms and Conditions, you may violate copyright and other laws. We do not grant any license or other authorization to any user of the trademarks, registered trademarks, service marks, other copyrightable material or any other intellectual property, by including them on this website. All Rights Reserved.